Tricks and Treats! 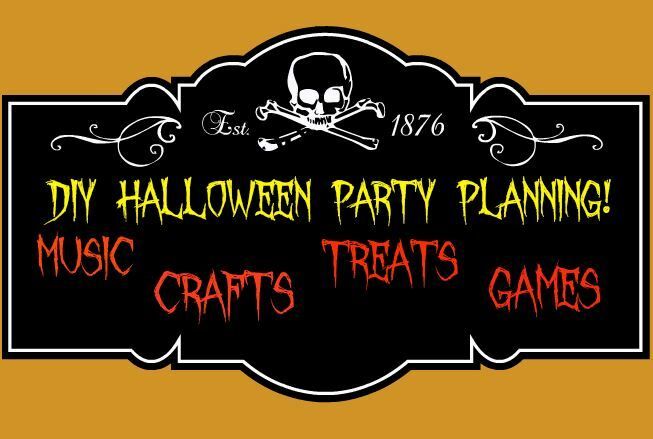 It’s that time, let us help you find great music and plan an epic Halloween Party! Throwing a Halloween party is something that every family should do at least once. It is so much fun to have superheros, witches, fairies, and vampires in the same room! There are costume contests, Halloween games, Spooky treats, creepy decorations, and let’s not forget the final ingredient…Halloween Music! 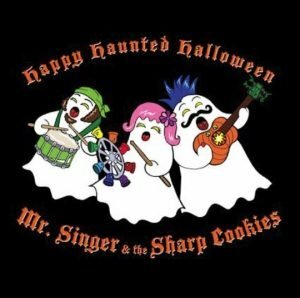 Mr. Singer and the Sharp Cookies have that final ingredient covered for you! 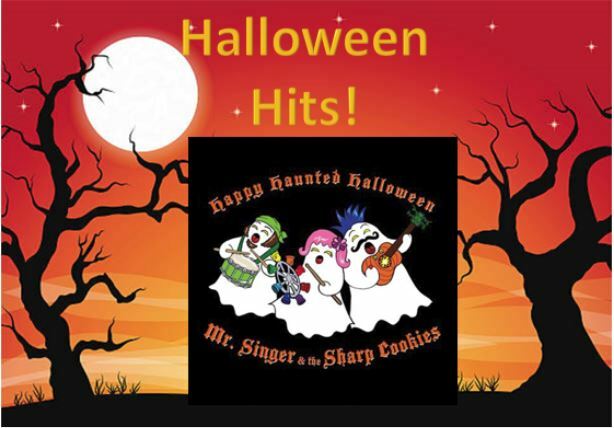 Check out their kid friendly beats on their album Happy Haunted Halloween. Unlike other cd’s, this band has twisted together the festivities and nature of Halloween, without the all too common sounds of werewolves’ howling, chain saws running and scary woman screams. Not to diss these sounds by any means, but for children these classic tunes can be a tad bit too scary. So I highly recommend Happy Haunted Halloween for your families Halloween party! 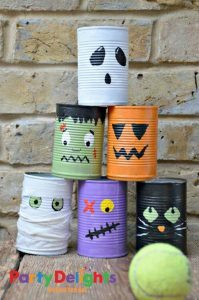 Now that you have your tunes selected and ready to get the party in swing; lets look at some other spooky fun things you can DIY that will guarantee to make your party a Halloween Hit! 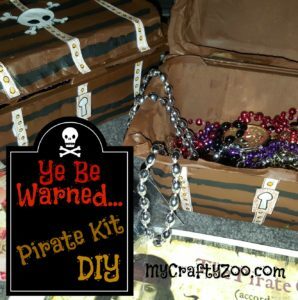 First, here is a link to the My Crafty Zoo Halloween Pinterest Board! I add projects that I love to that board (and all my boards) from time to time. Be sure and follow so you’ll know the next time something comes up! 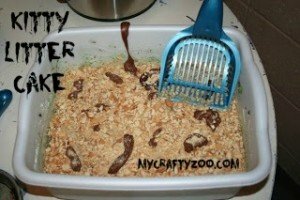 This Kitty Litter Cake looks so gross but the Kids (we served it to teenage girls) went bananas over it! This wreath is perfect for Halloween and can even be put up again for Christmas! One of our Zoo Keepers made it and did such an amazing job! What a great addition to any Halloween Party! 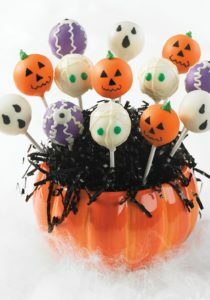 For the more elegant Halloween parties, check out this DIY Cake Pop Recipe! 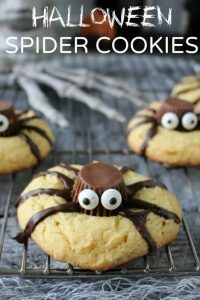 These creepy crawly spider cookies were created by Princess Pinky Girl! Head over here and check them out! Be sure and stay a while, she has some fantastic creations! This adorable game from a fabulous Mommy at Red Ted Art is both a party game & can even double as decoration! Check out her awesome Halloween Game here and be sure and look around at her other fabulous post!